"The Assimilation Model: How Problematic Experiences Change During Psychotherapy"
Saturday July 2nd: 9:45 - 10:45 a.m. The assimilation model describes how the traces of a person's problematic experiences, metaphorically characterized as active, agentic internal voices, can be assimilated into the self in successful therapy, turning problems into resources. Within a Schema Therapy perspective, this process can be described (roughly) as an integration of dysfunctional and functional modes. A series of intensive theory-building case studies has suggested that patients' assimilation of a problematic experience follows a developmental progression, summarized in the assimilation of problematic experiences sequence (APES): from dissociated and avoided, through emerging awareness, clarification, and understanding, to application, solution, and mastery. APES progress in therapy reflects building semiotic meaning bridges, first between patient and therapist and then among the patient's internal voices. Meaning bridges are words, stories, plans, images, and so forth, that have similar meaning to both parties and hence permit sharing of experience and joint action. The keynote will explain and illustrate this process of psychological change. 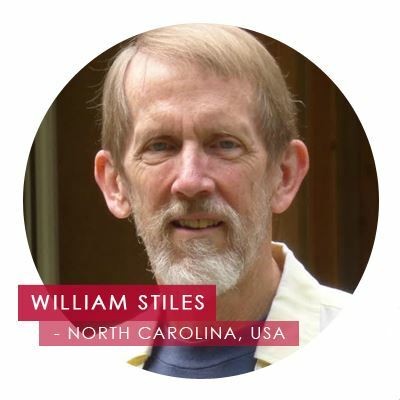 WILLIAM B. STILES is Professor Emeritus of Psychology, Miami University, Oxford, Ohio, USA, and Adjunct Professor of Psychology at Appalachian State University, Boone, North Carolina, USA. He has been President of Division 29 (Psychotherapy) of the American Psychological Association and of the Society for Psychotherapy Research. He has served as Editor of Psychotherapy Research and Person-Centered and Experiential Psychotherapies. He has published more than 300 journal articles and book chapters, most dealing with psychotherapy, verbal interaction, and research methods.